What struck young Magali Benchikhoune when she visited a nuclear power plant with her high school class, years ago, was "how clean, how organized, how under control everything was." Nuclear energy spoke to a deep part of the young student's personality: it could be "useful", it could help make the world better and, even more important, it could make life fun and "interesting". So when Magali, by then a chemical engineer with a doctorate in organic synthesis and enzymatic chemistry, decided to choose a career, it was on CEA's door she went knocking. "I started working in waste management at Fontenay-aux-Roses in 1990. The place is just five miles from Notre-Dame-de-Paris... You'd be in your lab, dealing with nuclear waste, and you could almost feel the capital's life pulsing and throbbing just outside the fence." Nuclear research at Fontenay was definitely clean, organized and under control. But there was more to it: "What I discovered there was how rich human relations can be. In the nuclear world, you cannot work alone. So you develop a strong interest for what "the other one" is doing, because it is very closely connected to your own job." Magali was to spend 17 years in fission, going from waste management in Fontenay to nuclear fuel research in Marcoule and Cadarache. "At one point, she confesses, I started feeling an urge for renewed pressure and challenges. I wanted a change in scale..."
In fission, Magali had operated "hot cells" of 400 cubic-metres capacity. 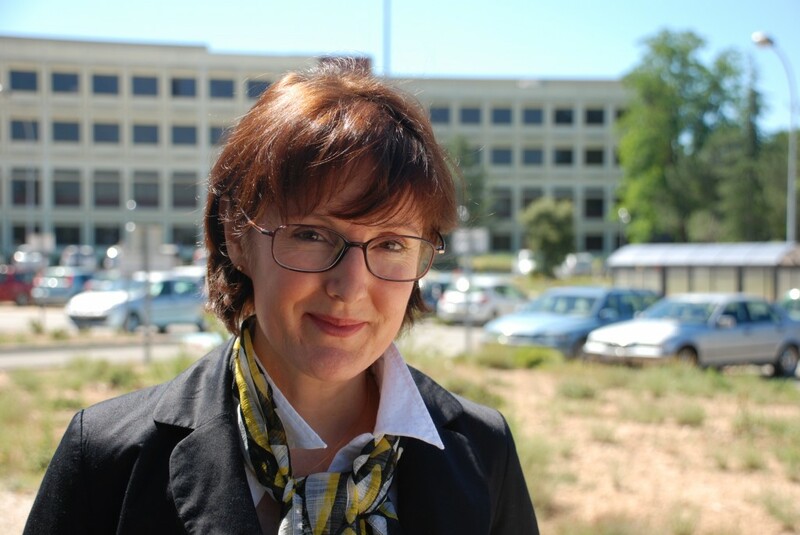 The one she's designing here at ITER is six times bigger: "It will handle components the size of a school bus! It's bold and fascinating." The main function of the Hot Cell Facility (HCF), a stand-alone, four-floor building located to the north of the future tokamak, is to repair, refurbish and test components and equipment which have become activated through the fusion process. The HCF building should be completed by 2013. Working for ITER as Section Leader of Hot Cell & and Radwaste Services Integration — there are only two women working at this level in the IO — is being part of a long chain. "There is no frustration in knowing that someone else will be operating this installation ten or twelve years from now. On the contrary: I'm working hard for those who will come after me, so that they can have as much pleasure in the future as I'm having in the present." And when the time comes for what she calls the "third half-time" of her life, she already knows what she'll be doing: she'll be raising horses, these "magnificent beings" who do not ask personal questions.